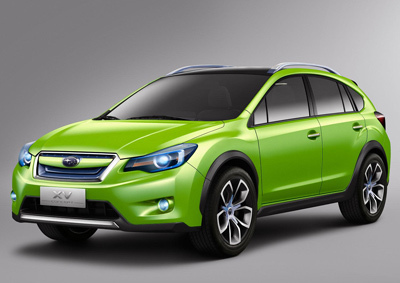 The XV was revealed to the world at the 2011 Shanghai Auto Show. The concept is a crossover model which is designed to offer a high degree of practicality, and because of that there aren't any real surprises to the design. There is a sensible four-door layout with a large rear hatch for the cargo area. A panoramic glass roof - which is nothing new - is about the only positive aspect to the design. Inside, the Subaru XV concept has been fitted with a combination of white leather upholstery for the seat bases, and darker leather for other areas. A mesh fabric with retina-searing yellowgreen piping is designed to give the interior a sporting tone. 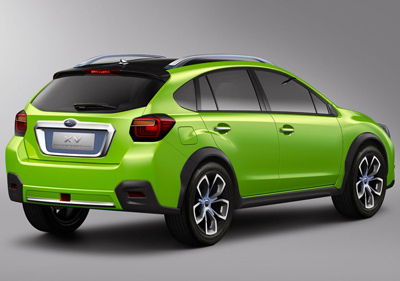 Powering the Subaru XV concept is a 2.0 litre horizontally-opposed four cylinder engine and automatic CVT (continuously variable) transmission.